MIAMI FL, June 25, 2014 – Kuuts, LLC is slated to release its 4 this year’s IPCPR Convention in Las Vegas, NV in mid-July. The Kuuts Nicaraguan Blend is a solid medium bodied cigar that is sure to please the masses. It features a Nicaraguan filler and binder with an Ecuadorian wrapper. And will be available in 5 vitolas for the US Market and comes in 20 count Cabinet Style Boxes. Miami, Florida, June 20, 2014 – G.R. 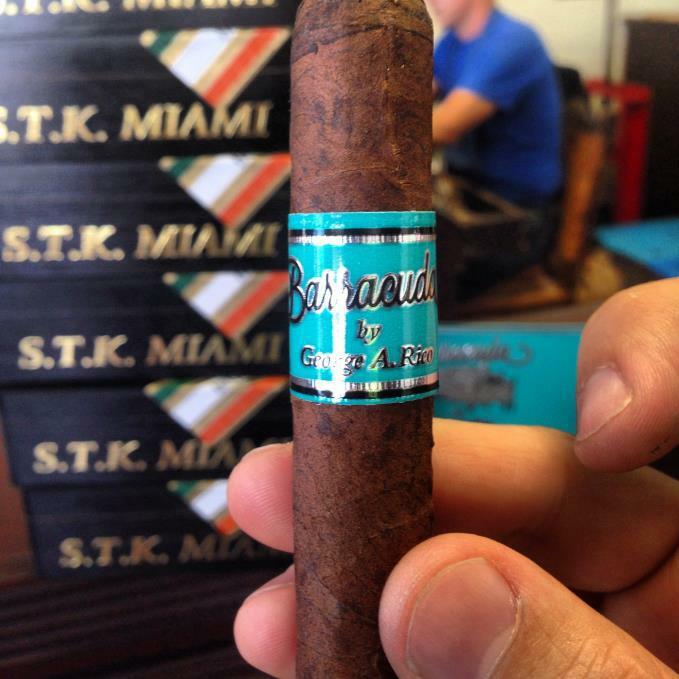 Tabacaleras Co. Cigar Factory, operated by George Rico of Gran Habano in Little Havana, announces that he will be releasing a new Barracuda Limited Edition Maduro. Power cigars are released every 7 years, the 2000 Crop, 2007 Collection received a 92 rating in Cigar Aficionado and was voted by the magazine as one of the Top 25 Cigars of the Year 2007. This cigar was part of a 5 cigar sampler pack that I ordered from an online Cuban cigar supplier. They run a contest each year where you buy a sampler of cigars, smoke them blind, and then have to make a guess as to what they are. If you get all 5 correct you get a significant gift certificate through them. Unfortunately I don’t have as much experience smoking Cuban cigars as most of the other members, but it sounded like a fun contest so I signed up. The Black Label Trading Company came to the cigar industry in 2013 with six different blends. Now for 2014 BLTC has their seventh cigar, which is a limited edition, called the Morphine. The Morphine comes in two different vitolas, lancero and corona, which is a departure from their first six cigars. The first six cigars for BLTC all come in a ring gauge 54 and above.